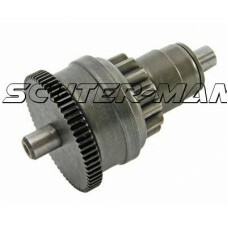 Grinding and mechanical noises when starting the engine are often a sign that the starter clutch is .. 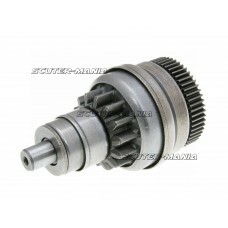 Defective starter clutch can cause a crunching sound when starting the engine and should be replaced..
Starter clutch with starter gear. 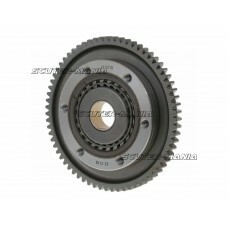 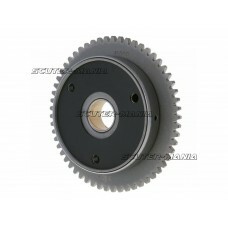 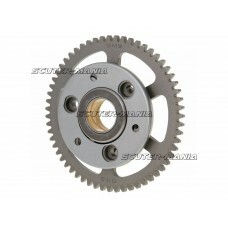 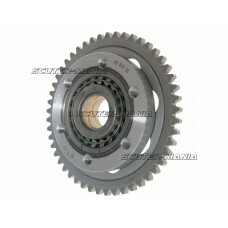 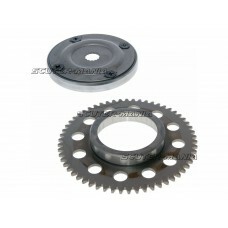 We recommend that you should also change the starter ring gear unl.. 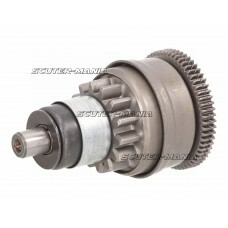 The starter bendix gear connects the starter motor and the crankshaft. 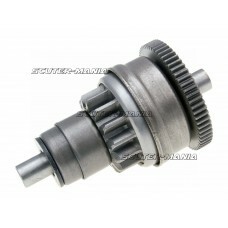 The gear secures the componen..
Starter clutch for Aprilia, Derbi, Gilera, Piaggio, Vespa 50cc 2-stroke scooters. 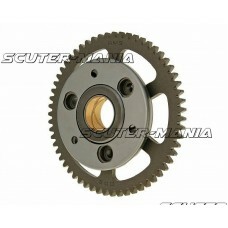 The starter clutch..
Starter clutch for Aprilia, Derbi, Gilera, Piaggio 100, 125, 150 2-stroke vehicles. 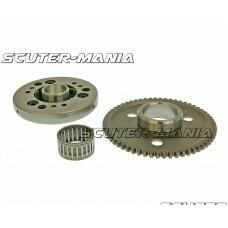 The starter clut.. The starter clutch creates the link between the starter and the crankshaft. 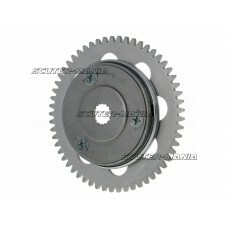 The clutch secures the c..